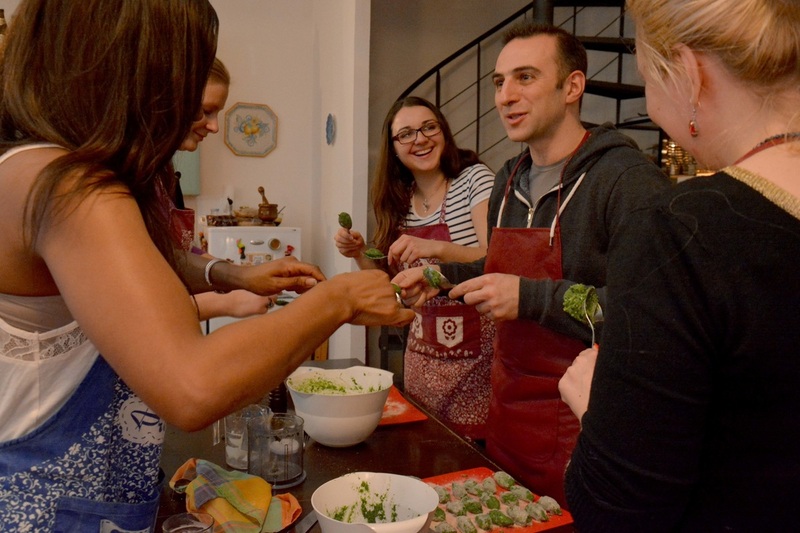 Cook & Meet in Prague - Learn to COOK & MEET new international friends! How to meet new cosmopolitan friends in a cozy homelike environment? 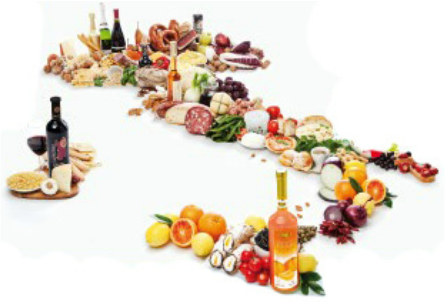 And at the same time learn to cook tasty, easy and classic Italian recipes with top-quality fresh ingredients? 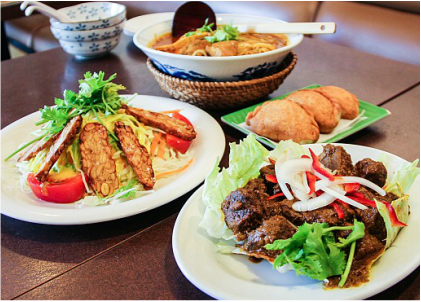 Just COOK & MEET with us! ﻿﻿​﻿Enjoy the art of cooking with old & new friends! We prepare together a choice of starters, an aperitif drink, a rich main course, a delicious dessert according to real Italian & Mediterranean recipes, then we have dinner together and taste premium Italian wines and digestives. 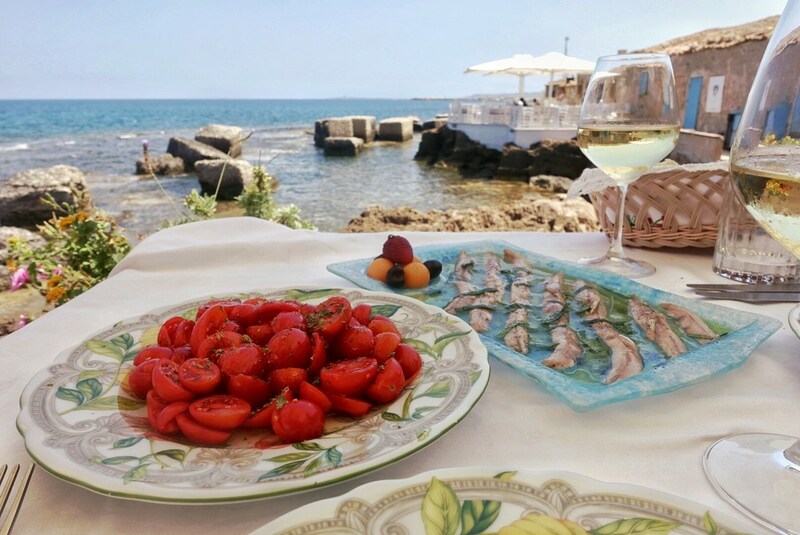 You do not need to bring anything, just your good mood and buon appetito ! 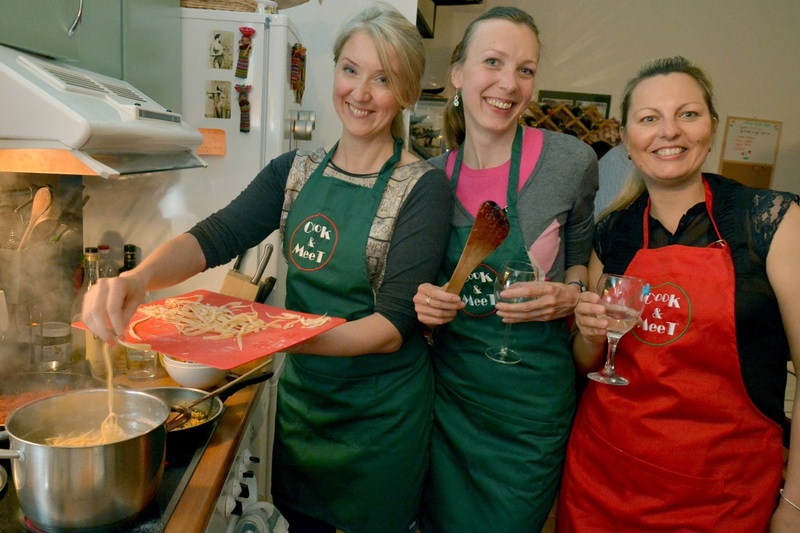 Cook & Meet is a non-profit social event and not a restaurant or commercial premise. 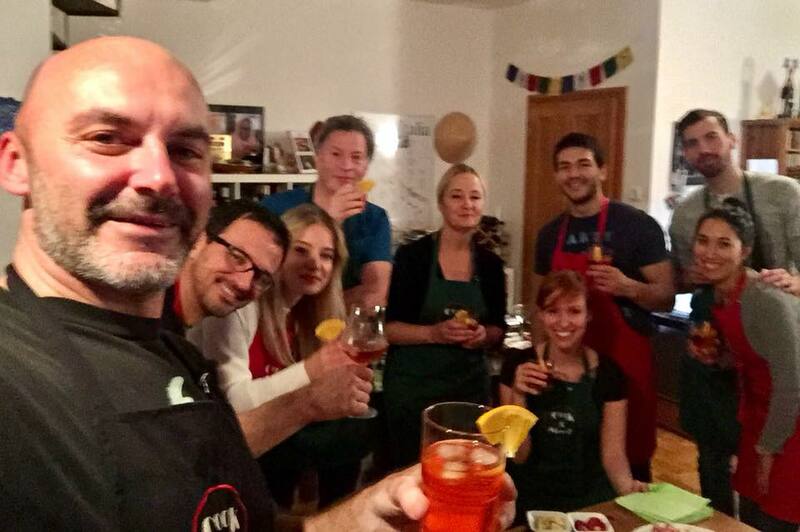 We share the costs of the events with a suggested contribution of 790 Czk per person or 1.490 Czk for 2 persons (or according to a special event´s menu) including the whole dinner, cooking class with equipment and recipe booklet, Our venue is ideal for groups of up to 10 people, with mandatory booking. Our cozy 2-floors private villa situated close to Prague Castle, in the charming Břevnov area is the ideal setting for a lovely evening with friends. The address is Liborova 24, Praha 6, very easy to reach by tram 22 and 25 (stop Marjanka) and Metro green line (stop Malostranska) with perfect bicycle accessibility. Street parking free from 8 pm. Every week a different menu with tasty & creative dining ideas around a "theme party" with wine pairing. ​Cost-sharing 890 czk per person or 1.690 for 2. "1000 & 1 FLAVOUR BAZAAR": a delightful selection of Middle Eastern & central Asian delicacies. We prepare together Persian saffron chicken with fennel, beef with pomegranate sauce, Turkish feta cigars, Aubergine Chermoula, Moroccan kofta, Indian potato salad, fennel & apple salad and a variation of mediterranean sweets. 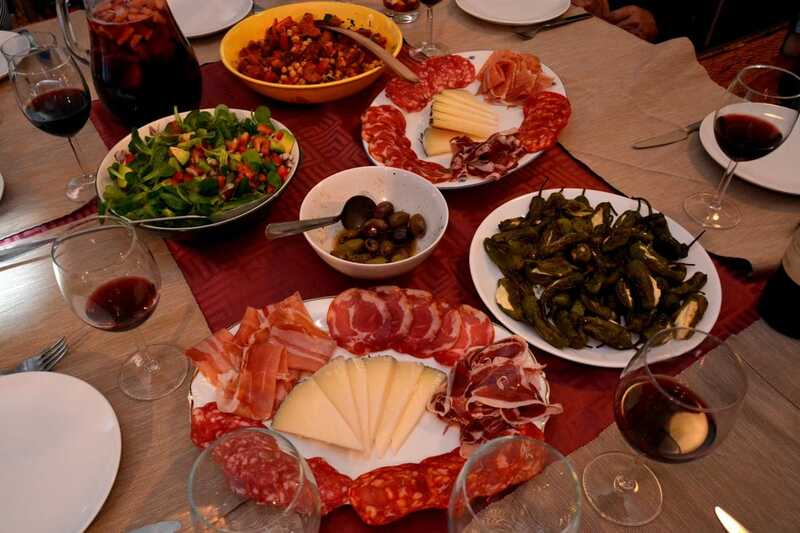 ​All paired with premium south Italian and Spanish wines. ​Cost sharing: 890 czk per person or 1.690 for 2. "TRUFFLE & FRESH PASTA PARTY": play with your wine knowledge with new friends & enjoy a fun blind tasting of a selections of premium international wines paired with mediterranean tapas. ​We will prepare together a special fresh pasta "tajarin" with a truffle touch and delicious, creative "chocolate truffles". ​Cost sharing: 890 czk per person ​or 1690 for 2. "COCOA & WINE PARTY": a finger-licking menu with the "food of the gods", enjoying home-made cocoa-flavoured fresh pasta “tagliatelle” with a rich wine sauce, a chocolaty dessert and more cocoa delicacies. ​Paired with noble red wines from Piemonte and Toscana. Cost sharing: 790 czk per person or 1490 for 2. ​Cost-sharing 790 czk per person or 1.490 for 2. 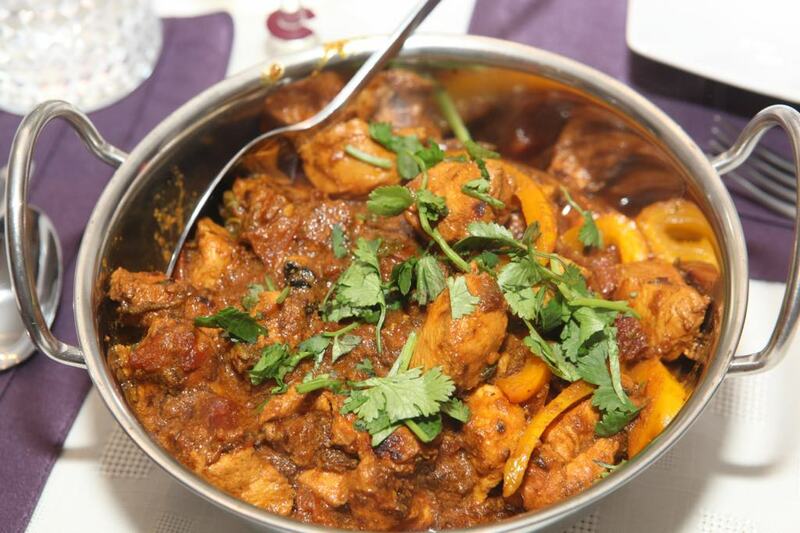 "INDIAN DELIGHTS PARTY" with CURRY ON to prepare together a delicious Indian dinner and meet new international friends in a cosy villa. A rich menu with onion bhajias, chicken karai, Bombay aloo, naan bread and gulabjamun dessert, paired with premium wines. Cost sharing: 950 czk per person or 1800 for 2. 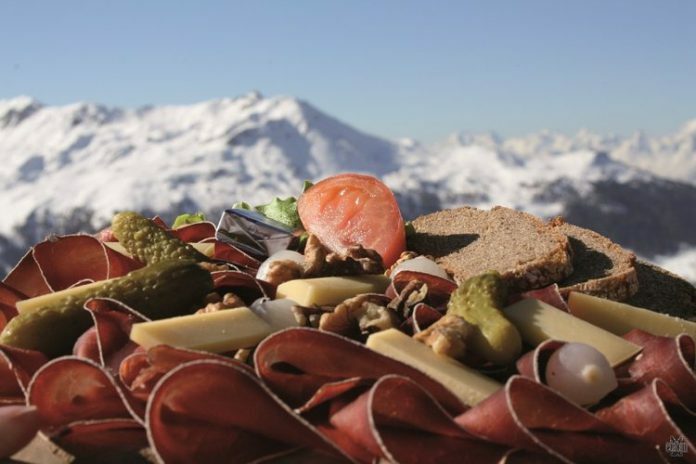 "BEST OF ITALY WINE PARTY": a gourmet discovery across Italy with a choice of tasty "cicchetti" tapas from Venice, a seasonal fresh pasta and pears poached in Chianti wine. "ITALIAN CLASSICS: let's prepare together some of the most classic and tasty Italian dishes like spaghetti all´Amatriciana, alla puttanesca e alla carbonara and a creamy tiramisu or panna cotta. ​Cost sharing: 790 czk per person or 1490 for 2. 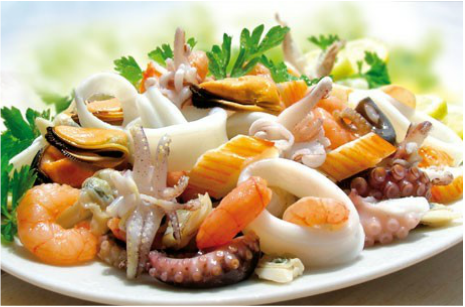 "SEAFOOD & FRESH PASTA": a delightful gourmet dinner with prawns ceviche, home-made black tagliatelle (we will prepare them together!) and a creamy strawberry & rhubarb panna cotta. ​All paired with premium Italian white wines Prosecco di Valdobbiadene, Roero Arneis and the meditation wine "Zibibbo". "SOUL KITCHEN SPRING PARTY": music for soul & body with creative Italian recipes, international friends and plenty of premium wines. 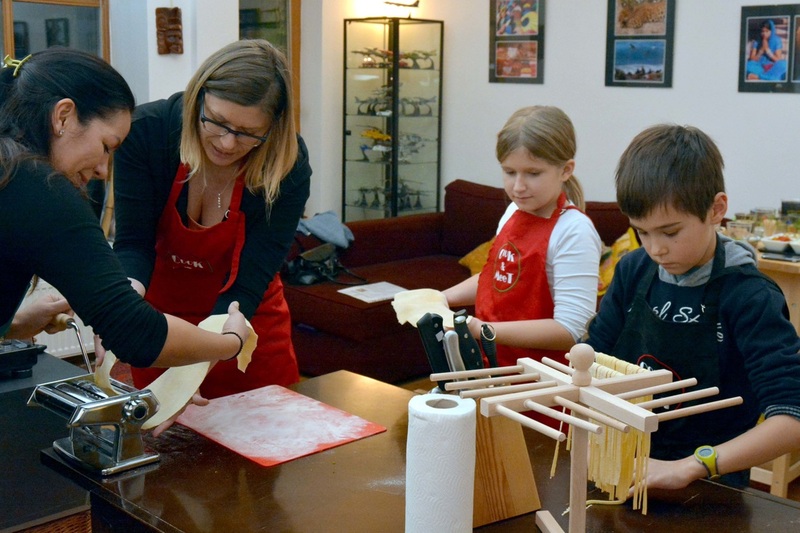 "KIDS´ Cook & Meet: a special event created for children and their parents. 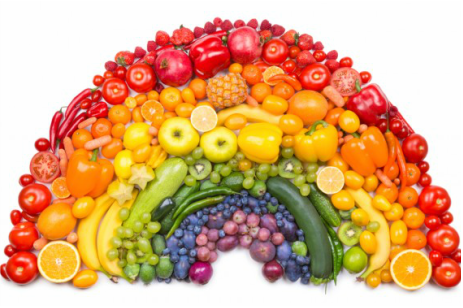 Learn to prepare tasty, healthy, colourful Italian recipes, and enjoy a full brunch in a cosy homelike smoke-free environment. "SPANISH FIESTA": we will bring back a truckload of delights from our Gourmet Tour in Andalusia for a special event preparing together chorizo & chickpea salad, salmon mille-feuille tapa, tasting of premium Jamon Iberico & farmers' cheeses, crema catalana and the delicious "Dulces de la Virgen" cookies from Ronda's nuns. All paired with the noble reds from Rioja. ​Cost sharing: 790 czk per person or 1490 for 2. ​All paired with Prosecco di Valdobbiadene, rose´ from sunny Puglia and red wines from Piemonte and Toscana. 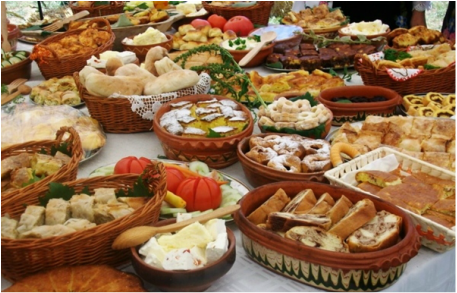 "BALKAN PARTY": a choice of tasty, colorful delicious dishes among the flagships of Balkan cuisine including cheese & filo pastry pies, stuffed grilled peppers and tasty Ćevapčići grilled sausages, paired with Serbian and Italian wines. 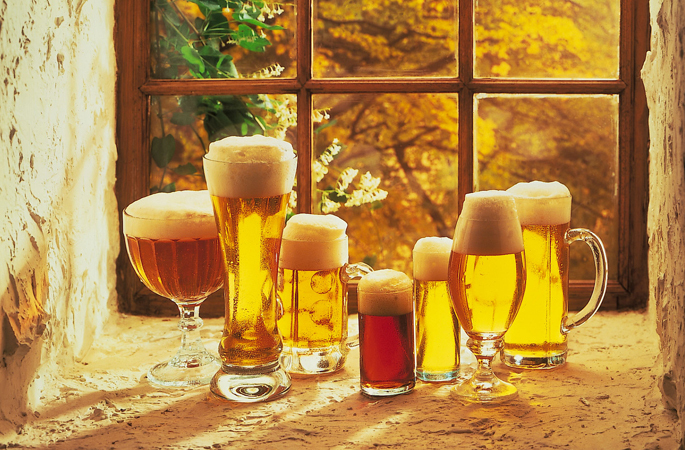 "BEER MENU": we will taste a selection of gorgeous bohemian brews from local mini-breweries and prepare Italian recipes with a touch of dark beer like a tasty barley salad , Italian premium cheese, chocolate & beer dessert and beer-based aperitivo ! ​"QUICHE PARTY". Mix & match a selection of fresh, seasonal and tasty ingredients to create your own customized quiche including the classic "Lorraine" and our favourite grilled pepper & feta. Assorted Mediterranean starters and a delicious "bunet" (chocolate & amaretti cake) to finish, paired with Italian red and white wines. "VIETNAMESE DELIGHTS": after our 6 weeks gourmet exploration of the culinary delights on the roads of Vietnam and Myanmar, we will present you the highlights of the tasty local cuisine with a gourmet dinner paired with tropical cocktails: king prawns "summer rolls" , grilled pork "bun cha" with noodles and fresh herbs and a creamy mango & coconut panna cotta dessert. ​Cost sharing: 790 czk per pers. or 1490 for 2. 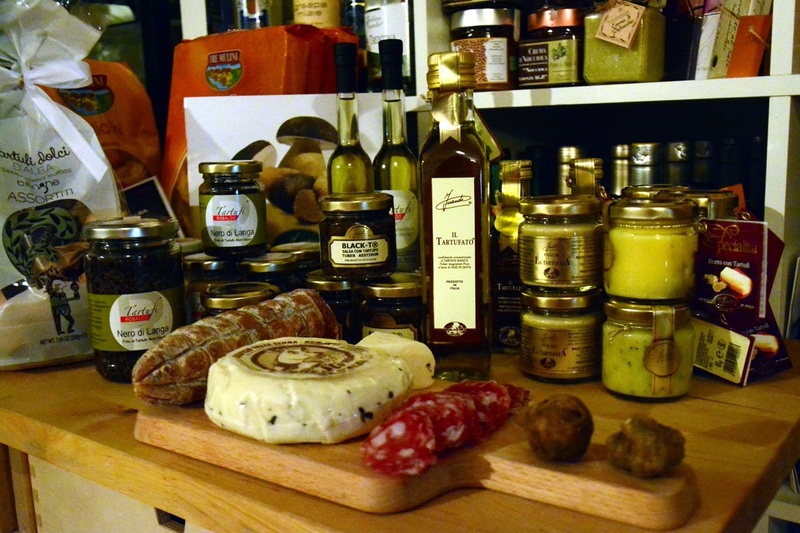 "CHEESE & WINE PARTY": a gourmet discovery across Italy with a vast choice of fresh regional cheese & hams we just brought back from our Italian gourmet tours, all paired with premium wines from Tuscany, Piemonte and Trentino. 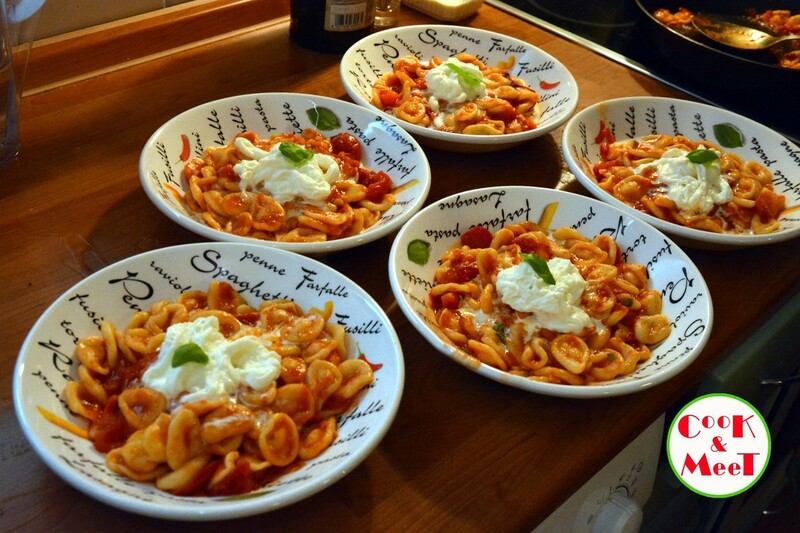 ​We will prepare together fresh pasta "troffie" with home;made pesto sauce and delicious poached pears in Chianti wine. ​"TRUFFLE & WINE DELIGHTS": a gourmet dinner with the king of italian gastronomy, tasting many fresh truffle-flavored delights from our Italian Truffle hunts. Cook & Meet is a unique, tailor-made event created for a limited number of participants (normally up to 10), with a dedicated chef in a dedicated location, teaching the participants to prepare a special menu. We procure fresh and top-quality ingredients, premium wines and digestives for a guided tasting experience, and organize the cooking workshop including all the equipment based on the number of confirmed participants.